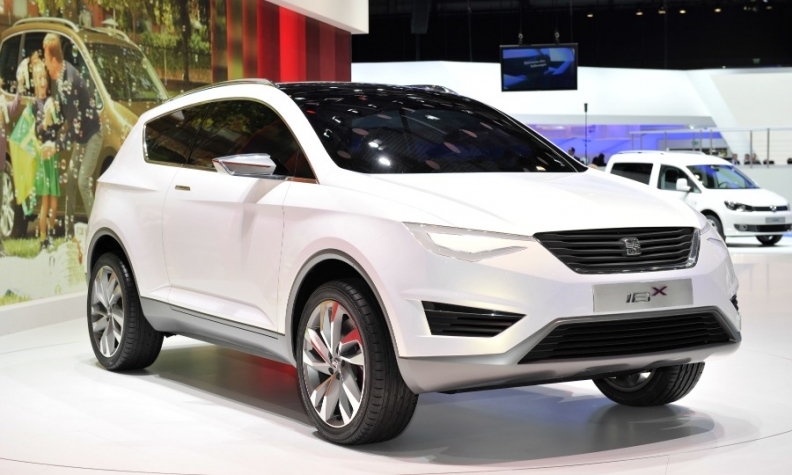 A future SUV for Seat could be based on the IBX Concept unveiled at the 2011 Geneva auto show. PRAGUE (Reuters) -- Volkswagen Group is close to deciding on whether to produce new SUVs for Skoda and Seat at a plant in the Czech Republic or in Spain, a Skoda union leader said today. VW has picked its Skoda plant in the Czech Republic over Spain's Seat as the site to produce the new SUV, Czech newspaper Mlada Fronta Dnes reported. An announcement should come by Friday, the paper said. But a Skoda union official told Reuters no decision had been made. Skoda officials are due to meet VW CEO Martin Winterkorn on Friday, he said. "It is being considered but it is still not definite. Everything will depend on the results of a Friday meeting with VW general director Martin Winterkorn," Jarolsav Povsik, the leader of Skoda's union group and a supervisory board member at the carmaker, told Reuters. A spokesman for Skoda was not available for comment. In December, Automotive News Europe sister publication Automobilwoche reported that VW could build SUVs at Skoda's plant in Kvasiny in the Czech Republic, alongside the next-generation Skoda Yeti compact SUV, where production costs are significantly lower than at Seat’s plant in Martorell, Spain. The Seat SUV could incorporate styling elements seen in the Seat IBX concept unveiled at the 2011 Geneva auto show. Skoda plans to add an SUV in coming years that's bigger than the Yeti, Germany's Automobil Produktion reported. Russia, China and western Europe would be the biggest markets for the vehicle. Mlada Fronta Dnes said VW has opted for production to begin at the end of 2015 at its Czech unit. The SUVs would be based on VW's MQB modular platform that underpins models such as the VW Golf, Seat Leon and Audi A3. Skoda and Seat accounted for 13 percent of VW's 9.7 million record sales last year.